What Is the Gray Man? The term gray man describes a way of dressing and acting so as not to draw attention to oneself. The goal of the gray man is to go unnoticed by blending into the environment by being as average and inconspicuous as possible. Why Be the Gray Man? People will want to be the gray man for a variety of reasons. In today’s world, being the gray man will help divert attention from you to others. By diverting the attention of bad guys, you have a better chance of avoiding a confrontation. Think about it—if a bad guy wants to rob someone, will he focus on the plain Jane person or the person with expensive-looking jewelry and designer clothes? For example, if you wear a “Kill ‘em All” t-shirt, a bad guy looking to steal guns could target you. Does the Grey Man Concept Only Apply to People? No, the gray man concept applies to people as well as things. Driving your car with little stickers of each family member on the rear window is likewise not a good idea. Sure, it’s cute, and you’re proud of your family. Unfortunately, it also tells the bad guys how many people and pets are in your house. Why make it easier for the criminals? In a grid-down scenario, if you are cooking when others are starving, you are asking for trouble. Starving people may be able to smell your cooking and could decide to show up looking for a meal, or more. How Do I Become the Grey Man? You become the gray man by first, paying attention to your surroundings. In other words, engage your situational awareness. Look for what other, regular people are wearing. 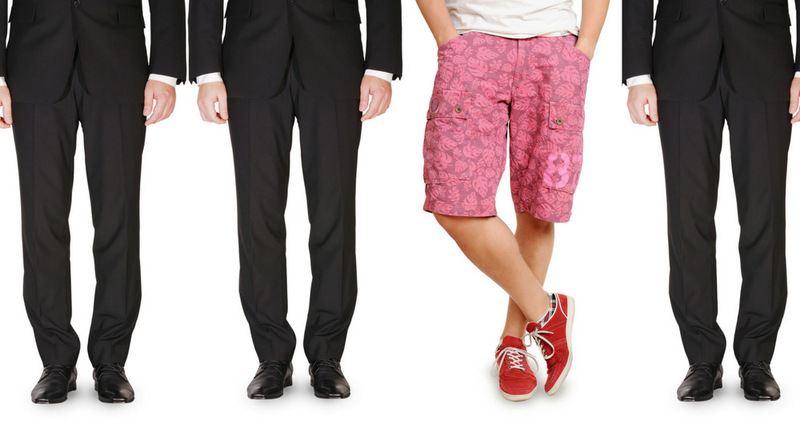 What people wear in the city is often different than what people wear in rural areas. Don’t just focus on clothes. Think about accessories and personal items. Do people in the area smoke? If most people don’t, you won’t want to either because doing so attracts attention. How are they carrying themselves? Do you walk aggressively or nervously? What do they do and how do they act when they talk with others? Do they shake and introduce themselves when meeting? Concentrate on not doing things that make you stick out. Again, you have to pay attention to notice what to do and what not to do. What it takes to be the gray man changes with the environment. Are you going to a rougher part of town or to an area you don’t usually go? If so, what do the people wear there? If a significant event is happening and you decide to bug out, how can you tone yourself down? If you choose to bug in, what should you do to look less appealing to the bad guys? Being the gray man is something that should be thought about and planned for. When you do, you lower the chances of becoming a victim. So, talk about it with your family and your trusted circle. Play a game with it. See who can become the most unassuming gray man out of the group. Test it out. Evaluate yourself. Adjust your actions and try it again. If you have any other thoughts or questions about how to be the gray man, please leave a comment below.